We almost never get sick around here…but with flu and cold season upon us..it flew through our house recently and I feel a bit guilty about it because I’m usually the health Nazi around here. 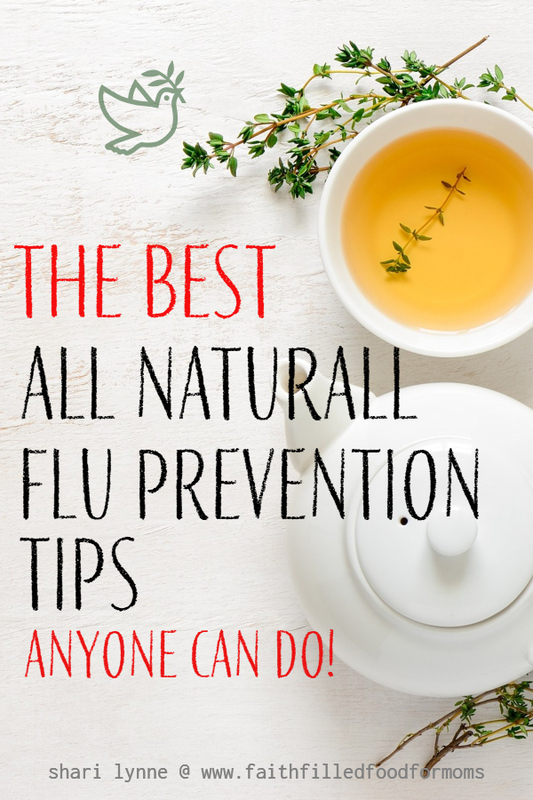 The BEST flu treatment aka influenza… is to start before flu season ever starts up! I’m planning ahead and beginning my war plans against colds and flu. There are also 6 areas of your life that may be causing you to get sick! This fall however I was a slacker and wasn’t as on top of it and we’ve all gotten colds and flu because of it. 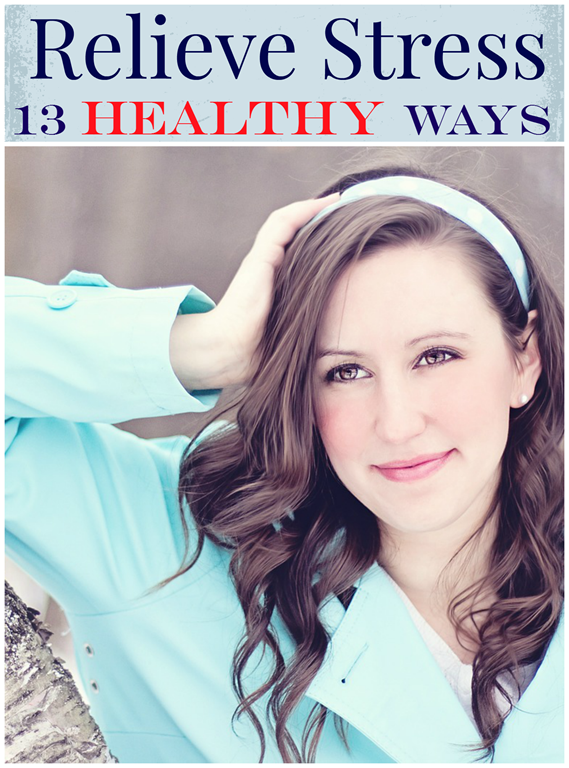 It’s pretty ridiculous because Flu Prevention is Easy with these 10 Ways to Boost Your Immune System! Studies have proven that getting a proper amount of sleep aids in boosting our immune system AND our bodies natural healing process. Try telling teens this! 2. Take your Vitamins..ok this is a No brainer..BUT it truly does make a difference. Vitamins C & D are especially important…also Minerals like Zinc are helpful. All things in moderation..we do not take massive quantities of these. Just make sure you are taking a good vitamin everyday and maybe a little extra C and D.
Did you know that your GUT is where 90% of your immune system is produced! It’s TRUE! Having a super good, all natural Probiotic has been one of the most important things I have done to improve my overall health! 3. Get exercise..it’s so hard to exercise in the Pacific Northwest in the winter months..rain, rain, rain..but it MUST be done. We all know we need water but the truth is that drinking ENOUGH water sometimes does not happen..it’s amazing how much better we feel if we drink enough. It keeps our bodies healthy and aids in boosting the immune system. How much is enough..it can vary depending on exercise, weather, medications…But at the minimum we should at least be drinking for men is roughly 3 liters (about 13 cups) of total beverages a day. For women is 2.2 liters (about 9 cups) of total beverages a day. More water if you are in Menopause and having hot flashes..
Have healthy snacks in your cupboards and fridge that can sustain you until you can get a good meal going…like carrots, celery, trail mix. and of course lots of fresh fruits and veggies. 6. Garlic! Yep garlic is an amazing immune system booster! Research has proven this. Get garlic into your meals..Yummm! 7. Wash your hands!! No brainer but sometimes doesn’t get done with kids..umm adults too. 8. Have a Joyful Heart!! Did you know that real live research has been done to prove that people that laugh more and are more joyful are more healthy..
God is always right..Proverbs 17:22 A cheerful heart is good medicine, but a crushed spirit dries up the bones. Want a little laugh right now? I try to get a weekly little Faith Filled Humor out every week..just to remind us to laugh! I also like to write some funny things that are happening around the house..you can check out here for a little chuckle..
9. Stay away from too much Sugar..Sad but true.. Many studies and research have shown that Sugar can actually suppress your immune system 🙁 It’s hard at this time of year! Many tests done on cancer patients have show that Green Tea does in fact boost the immune system. So there you have it..that’s my very simple list of ways to boost your immune system. These are simple, but then sometimes the simpler they are the harder it is to implement just because it’s so simple..HA..does that make sense? Do you have any simple ways to boost your immune system to share? Would love to hear from you! I have an autoimmune disorder so I take medicine that suppresses my immune system. This is a wonderful list and reminders to sleep well, eat well and play well to start off the new year. I didn\’t know about garlic\’s immune system boosting powers, I love garlic! Stopping by from SITS! Love the tips! Need to use some of these at my house! 🙂 Happy new year! Found you on SITS today. Great reminders for this time of year for flu and colds. Thank you. Another great read for your followers for a quick guide to foods that boost immune system.